For the past ten years, there's been one publisher that has consistently worked to preserve and promote the work and efforts of those often unsung creators who literally drew up the foundations of modern comics. 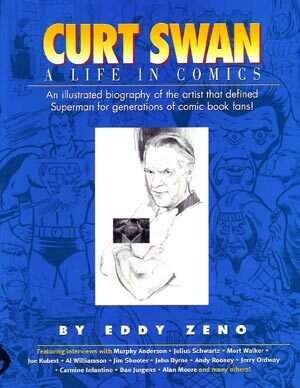 Whether you want to discover more about the work of Wally Wood, John Buscema, Joe Simon, Nick Cardy, Carmine Infantino, Curt Swan, Gene Colan, Jim Steranko, Frank Brunner, Jeff Jones, Michael Kaluta, or a host of other Golden, Silver and Modern Age greats, Vanguard Productions has covered their work in a series of beautifully designed books with real passion, attention to detail and impeccable taste. The man behind it all, J. David Spurlock, reveals about how it all began, what keeps him going after all these years, and what he gets from his labors. 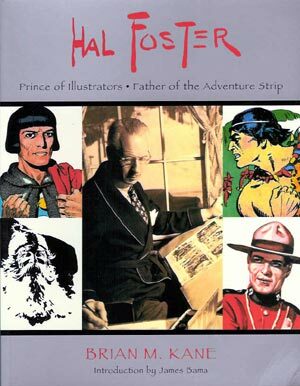 Bill Baker: What about comics first captured your attention, and what about them has kept you interested in this particular art form over the years? J. David Spurlock: Everything! The color, action, adventure, craftsmanship that went into them ... I've always felt the unique medium known as comics deserved more attention and exploration. I've had this knowledge of the form so long, it'd be a waist not to put it to use. BB: What lead to your formation of Vanguard, and how much has it changed from your original conception of the company? Spurlock: My appreciation of comics and the talents whose work I enjoy. The older you get, the more it seems like there's little time for anything that's not professionally oriented. By forming Vanguard I have created an opportunity to work with many of the talents that inspired me to first go into illustration and on to publishing. The vision hasn't changed much. We started with the EDGE anthology, moves to art books and biographies. 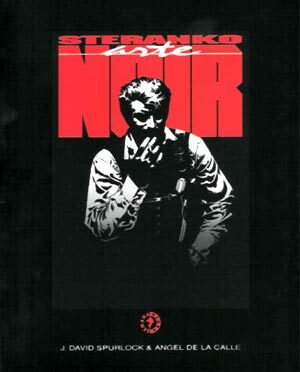 We've added graphic novels -- our latest being Neal Adams' Monsters -- and we hope to expand into DVDs. BB: Is there a particular project, or achievement, from the past ten years of Vanguard that stands out as your personal highlight? Spurlock: Every project has rewards and stresses. The Foster book winning an IPPY Award, knowing how much John Buscema -- and every other artist -- enjoyed the sketch book we produced, our three Eisner Award nominations, introducing Barron Storey to the "comics" market, my many years of work with Steranko and Infantino, leading a Wally Wood revival, benefit projects including the Wally Wood Scholarship Fund and the Steranko: Spirit of America Fund [all come to mind]. BB: What's the best thing about your job? Spurlock: Presenting top talent with my take on their work and getting to meet fans who really love the books! BB: How about downsides? Anything you hate about your job? Spurlock: Contract negotiations, deadlines, legal issues, accounting, not being able to do all the books we'd like to. In other words, the things that make this like other businesses. BB: What do you hope that readers get from the books you publish? Spurlock: One gets a special pleasure out of holding beautiful things. 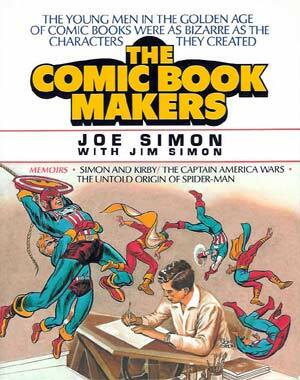 Comics and art books have tactile and accessible qualities you don't get with other mediums. We create our books with that in mind. Often a collector will know that our subjects are long over due for the "Vanguard" treatment. Other times they may discover the work of a genius they had overlooked before. I get an extra thrill by being able to bring fans those experiences. BB: What do you have planned for Vanguard's 11th year? 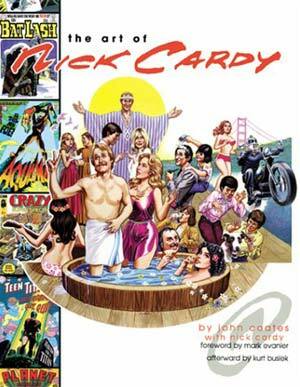 Spurlock: More art books, graphic novels and prints. We just came out with the full color Neal Adams graphic novel Neal Adams' Monsters. 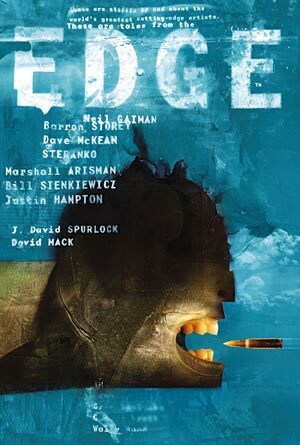 To be released 1st week of February: EDGE 10th Anniversary book featuring work by Neil Gaiman, Dave McKean, Barron Storey, Bill Sienkiewicz, Marshall Arisman, Jim Steranko, David Mack and best-selling author Paul Theroux! 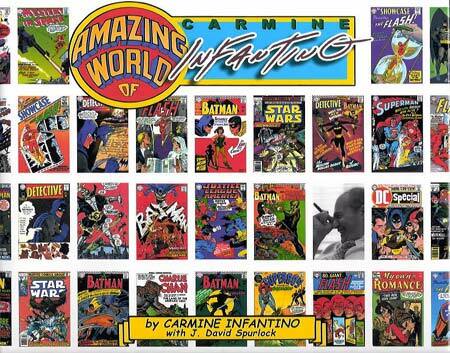 Then, art prints by Infantino, Wally Wood and Steranko. 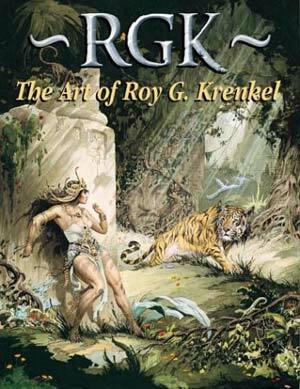 Later this year, RGK: the Art of Roy G. Krenkel, The Wizard King Trilogy of graphic novels by Wally Wood, J. Allen St. John: Grand Master of Fantasy Art, and The Thrilling Comic-Book Cover Art of Alex Schomburg. Spurlock: We're in the business of honoring creators. The fun is honoring them. The business is trying to sell enough books that we can go on to honor other creators. I hope we can continue to please and entertain fans and honor creators for a long, long time.